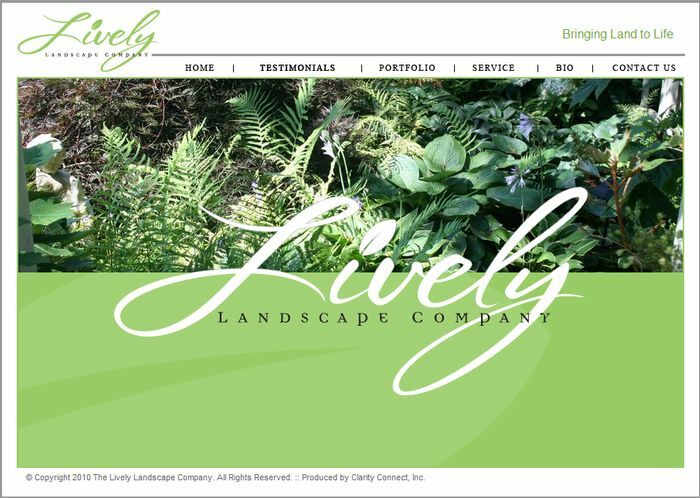 Paul Lively founded The Lively Landscape Company, LLC. in order to concentrate on residential projects. 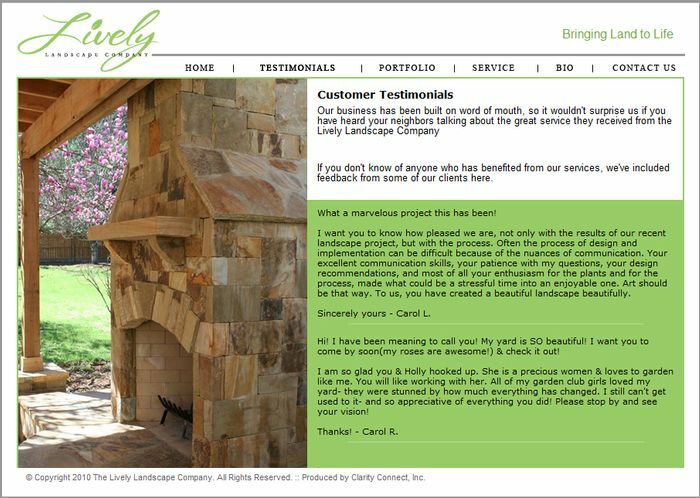 The website reflects his focus on high-end landscape design and installation. Paul is an award winning landscape designer with an extensive and varied background in residential gardens (from modest homes to large estates), horticulture, and project management. He earned his degree in Ornamental Horticulture and Landscape Design from the University of Tennessee Knoxville. 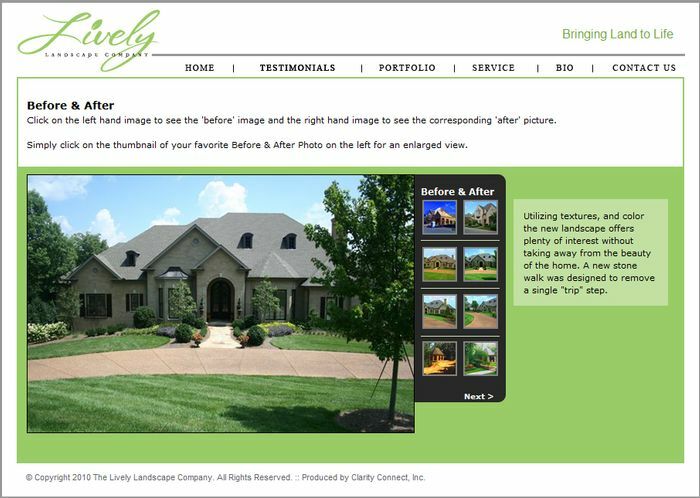 Paul has an undeniable passion for designing custom landscape themes and concepts which continue to receive high praise. He continually researches and studies different design concepts through reading and touring gardens. Paul belongs to several local and national trade organizations. He uses the Clarity Console content management tools to keep his site current with new projects and information. We recently completed a redesign of his site to really focus on the high-end work he does for his clients. Search Engine results were NOT important to Paul, so the home page text does not have any searchable text.